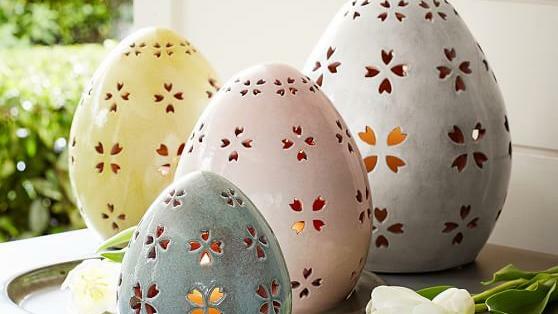 Decorate for Easter brunch with these stylish hand-punched terra cotta eggs. Available in an array of sizes, create a colorful pastel display on a tabletop, mantel, or patio. 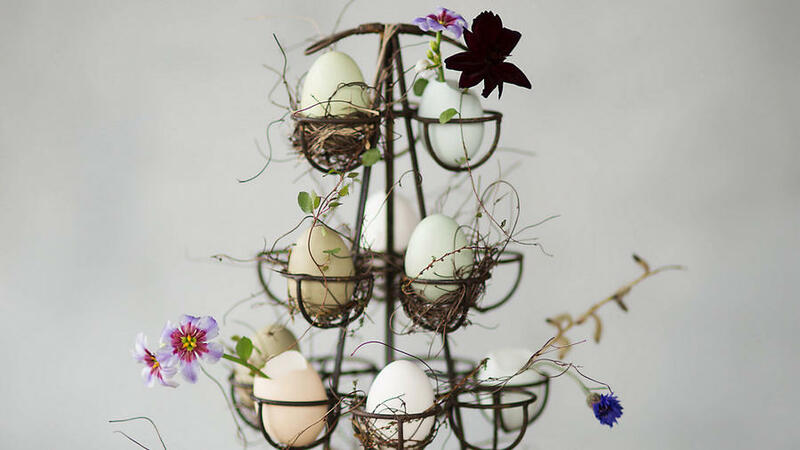 An opening on the underside of the egg allows for the addition of a flameless candle for a warm glow. Show off your decorated and dyed Easter eggs with this hand-crafted galvanized wire egg carrier. You can also take a cue from Terrain’s styling and add spring flowers and grasses to transform this carrier into a festive tabletop sculpture. 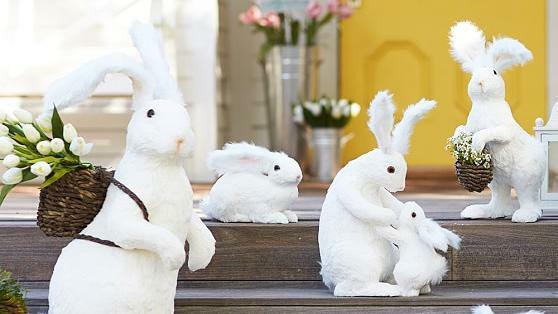 Here is an Easter decoration that will be a hit among the kiddos. These fun felted wool bunnies are available sitting, lying on their backs, or holding a basket. We suggest going with the whole array for a most darling look. It’s no secret that the art of decorating is in the details. 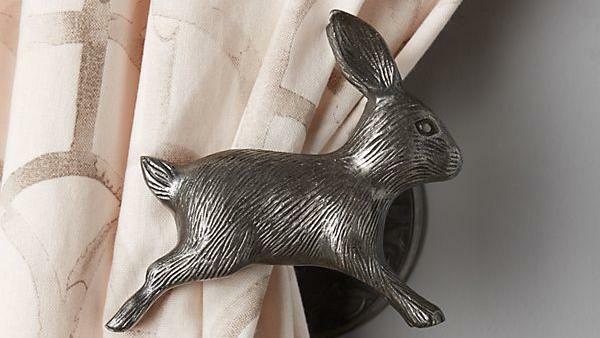 This darling rabbit tieback, available in oxford and silver, is just the sort of small accent that will freshen up a room for Easter. Is it just us, or does the appearance of a hydrangea on the mantel or dining table signal that warmer weather and longer days are just ahead? 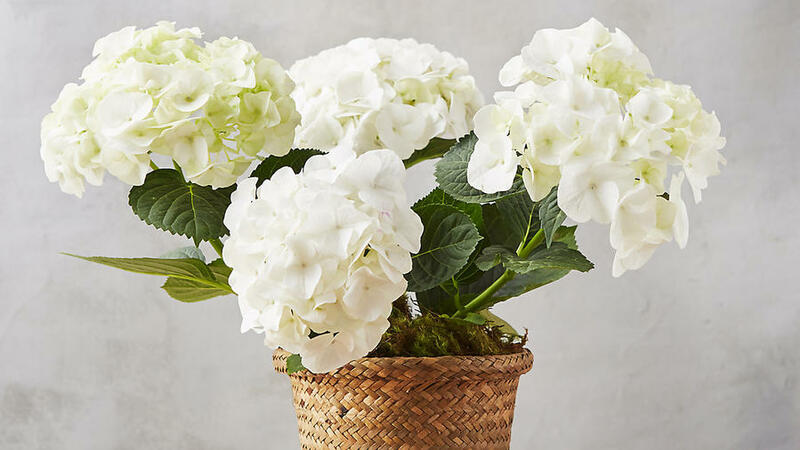 Pre-planted in a woven grass pot, this snowy white hydrangea is the essence of Easter cheer and is the prefect addition to your springtime tabletop. 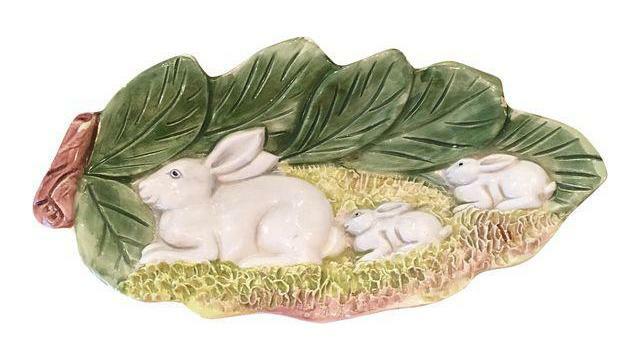 As much a serving platter as it is an art piece, this one-of-a-kind, hand-painted dish is the perfect centerpiece on your Easter table. We’re fond of decorated doors year-round, which makes this Easter wreath a must in our book. 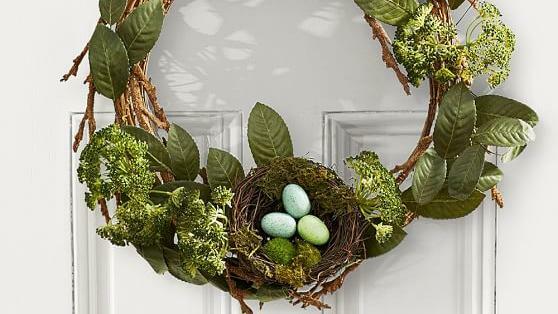 Handmade with straw and green sedum, the wreath is adorned with faux lemon leaves and a robin’s egg-filled nest. 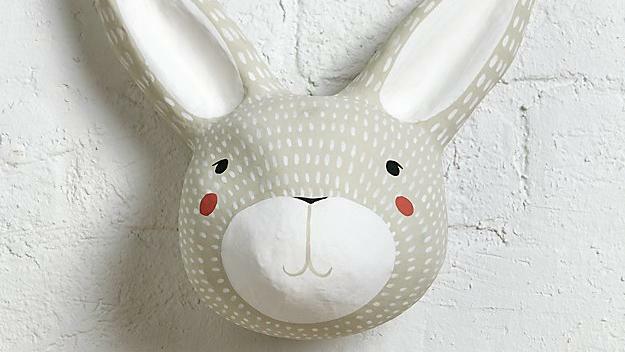 Made of paper mache and hand-painted with intricate details, this one-of-a-kind bunny wall mount is an ideal Easter accent that will add whimsy to your home décor. 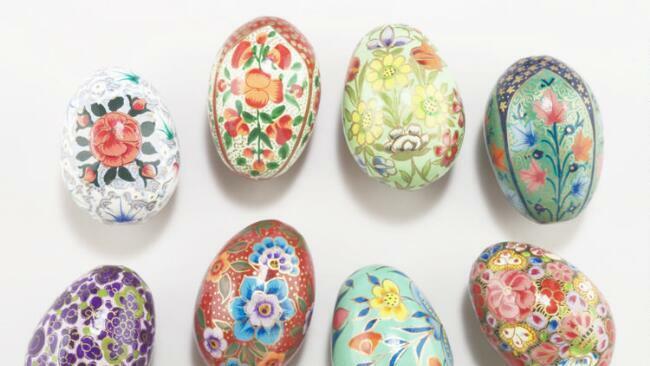 Handmade in India and painted with traditional floral designs, this set of 12 paper mache eggs will bring the colors and joy of spring into your home. Display all your sweet Easter treats on this beautiful and festive spring-inspired platter. 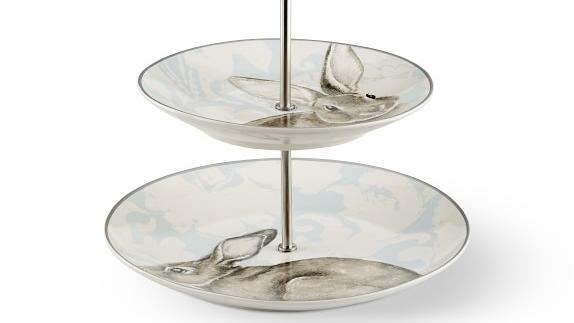 Each tier is painted with a vintage-style bunny and a classic floral damask backdrop.